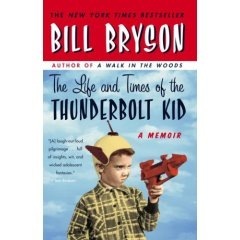 Yesterday I finished reading the book “The Life and Times of The Thunderbolt Kid” by Bill Bryson who is a popular writer of travel books which are very hilarious. In this latest title, Bryson writes about his childhood days in IOWA, USA. 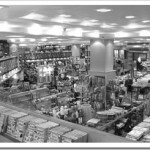 Don’t be fooled or put off, this is certainly not his biography – obviously who will pay money to read about a writer. Like other books of Bryson, he doesn’t attempt to make the events and stories told factual and accurate. Instead he takes a jovial approach and makes fun of him and the 1950’s America in his classic style. The sections on US obsession in the 50s over Nuclear Bombs are very hilarious. In page 208, Bryson writes “Two deep drafts of a freshly run-off mimeograph worksheet and I would be the education system’s willing slave for up to seven hours”. I didn’t know what was mimeograph so I searched in wikipedia for it. To my surprise the wikipedia article on mimeograph quotes the same line from the Bryson’s book :-). By the way, Mimeograph is nothing but what we call Stencil in India.